In his latest video, popular YouTuber, teacher, and photographer Tony Northrup discuss why he thinks micro four-thirds as a format will not survive long. Northrup estimates that in around five years, we may not see any new cameras using that sensor type. This is obviously not good news or I should say, not a positive opinion, although the points raised in the video are not only very interesting but sound. One of the points raised by Northrup which makes the most sense to me is about how company resources are limited. Now that Panasonic is developing a full frame system, it would be ill-fated for them to split their resources between full frame and micro four-thirds. The logical and smarter approach would be to focus their energies effectively into one area. Unfortunately, those resources are more than likely not going to be focused on micro four-thirds. Check out the full video and let me know what you think. Is micro four-thirds really doomed? As long as there are people who appreciate bang for money / size 4/3 will be around. For those of us who actually use our cameras to make a living, as I do, micro 4/3 is a god send. I carry my gear all day long every day shooting for clients. I typically have two GH5's and two zooms that range from 24 - 400mm eq, along four fast primes ranging from 15mm to 150mm, all in a Peak messenger bag. That's a lot of range and not a lot of weight or bulk, which is perfect for what I do, documenting people doing their thing, environmental portraits, many types of candid images at events, theater performances, sports, and more in all kinds of light and every iso from 200 to 12,800. And then there's video, which I produce, shoot, and edit as a one man band. I've shot exclusively with micro 4/3 Lumix cameras since 2013. Before that Canon EOS. My back leading up to the time before I switched was in constant pain. I've been doing this for almost 40 years, so the wear and tear adds up. Since I went all in with micro 4/3, my back pain has dissipated almost entirely. I am so happy to have no more days and weeks of crippling pain. As far as image quality, in the real world in which I work and earn my living, I have NEVER has a client disappointed in the output from my "miniature" format cameras. In fact, my clients always are amazed that my images are so much better than my competitors, who I know shoot full frame. From billboards, magazine double page spreads, theater posters 9 feet wide, wall wraps 30 feet wide, fine art prints 3 feet wide, and of course the internet and video. So I know it's not the format that makes the difference, it's the carbon based life form behind the camera. I have spoken to the people at Panasonic who I have known for quite a while, and I can assure all of you out there in land of internet hyperbole that they will not abandon micro 4/3. If anything, going full frame will enhance their photo division and ensure the ongoing presence of the micro 4/3 line. For people who make rational decisions based on real world needs based on real world results, micro 4/3 is a camera that can deliver the goods. I don't think its going away, or at least I hope not. And if it does, it's only because internet blowhards, who do not actually use the gear to make a living or do the kind of photography that the vast majority of advanced amateurs do with gear that they have to by themselves, will have stacked the deck against it. I suspect Panasonic will dump everything but their GH bodies and keep M4/3 as their "APS-C" body. There's been a fairly large investment in lenses for that system, both from Panasonic and Olympus. 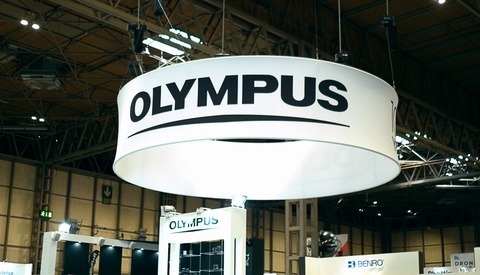 It's not clear at this time where Olympus is heading, but the advent of organic sensors may breathe new life into M4/3 and grant it further professional options. Not everyone cares to be lugging around a shitload of FF gear, especially to remote locations. I can see Panasonic culling their m4/3 lineup to free up resources for their full frame department. But abandoning it all together? Hard to believe. People love that format. Yeah, it's perfect for vlogging. I think that's the direction they'll specialize in. "Not suddenly, but slowly," says the presenter. Meanwhile the headline proclaims an "imminent" death. Those are not the same. While I do not use m43 as my primary system I love how m43 still makes me money in situations where a large DSLR and huge telephoto would limit access. I just shot a news situation the other day where all the media were kicked out of an area that provided access to a good view of the situation. I walked in with my gx8 under my jacket and used my old 100-300 v1 to shoot stills at 300mm(600mm fullframe equivalent) and video at equivalent 1200mm using 2x teleconverter mode. This would have been impossible if I had to run to the scene (5 blocks) with my 400mm/2.8, monopod, d5 and other lenses. While m43 has its limitations its strengths more than make up for them. The story turned out to have an international angle and more than paid for the lens which I got used in 2015 for $300. Ah, I see Tony is on his aperture “equivalency” horse today. I like about half the stuff Tony says and then other times half of it is nonsense. He’s obsessed with depth of field, and videos like this only serve to confuse the hell out of people who don’t know better. He acts personally affronted that the results between m43 and FF aren’t identical, as if we haven’t known for decades that sensor (or film) size changes things. I guarantee Panasonic nor Olympus never claimed their lenses would have the same DOF as full frame, but they would be correct if they had claimed they gathered the same amount of light. It’s such a silly silly position (and irresponsible in how he frames it), but also nothing he says is new information so I have no idea why this stuff would suddenly be the death of the format. It ain’t going anywhere any time soon. You have two major companies that use the mount for photography and a number of video production companies that do as well. There are probably more third party lens manufacturers for it than any other mount. If anything, with the increasing quality of sensor tech and low light capabilities, m43 makes more sense than ever before (unless you’re a bokeh junkie like Tony). Even if the current manufacturers of M43 cameras decided to produce full-frame cameras, they would still want compact models as well as entry-level models to fill out their line and it doesn't make sense for them to ditch something they've already developed until this point. I don't see why they would all of a sudden go off and kill a perfectly good system. It's not like we're talking about the Sony A-mount which relatively few people bought into in the first place or Canon and Nikon's first foray into mirrorless, which were jokes. M43 is a successful system with a good number of dedicated users despite the APS-C and full frame competition. Yup. A-mount was a pretty unsuccessful hybrid between DSLR and mirrorless, and most people just stuck with DSLR at the time. Then mirrorless eclipsed it entirely. Not to mention, Tony rails about A-mount, the old Canon FD mount, etc. but his entire hypothesis seems based on the fact that Panasonic is getting into full frame. What...about...Olympus?? Even IF Panasonic did abandon m4/3, that wouldn't guarantee the death of it. I think Panasonic does really well with m4/3 sales. I don't know numbers, but Best Buy regularly has quite a few Panasonics in-store... something they only do for products that sell well (Sony, Canon, Nikon). And Panasonics are very affordably and competitively priced. I've never seen or heard any indication that they are suffering and if not, they wouldn't give up that revenue. What nonsense just read today’s lead story “Rethinking Photography Gear After an Injury”. And now that Fuji are doing medium format, APSC is dead. Panasonic are not the only players in m4/3, and many camera companies successfully run more than one mount system at a time. I like quite some videos Tony made. His video and follow up "face off" ones on RAW vs jpg actually made sense. But this video is nonsense. It's a click bait. It's desperate action to add viewers. Really a pity to see a channel going south like that. He repeated quite a few times that he didn't mean m43 will go away anytime soon but maybe 5 years. Man, 5 years is like a half a century back when photography was invented. Who knows what will happen? So saying something like that is really meaningless. With sensor technology improving, I can only see the overall sensor sizes drop. Perhaps someone should invent an index, something like: "aggregated area of all sensors in all photo taking equipments/no. of equipments". If there were such an index I can imagine that it dropped constantly from the day photography was invented to today and still dropping. The reason is simple: there's a constant force to drive for more convenient ways to take photos. It's fueled by sensor technology improvement and recently AI and computation photography algorithm. The result is smaller and smaller sensor formats. An opposite force is driving for absolute quality. This pushes back to larger sensor sizes. At current era, it basically settled down at 1/1.7", 1", m43, FF and a few examples of MF. If m43 does really die, it's not because of FF mirrorless. 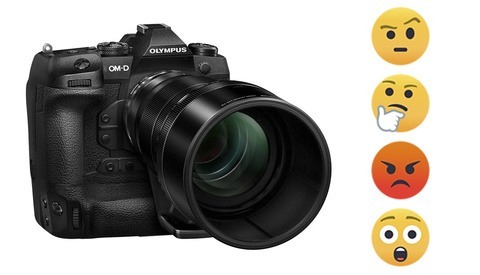 It's likely that 1" or even smaller sensors get so good that m43 becomes unnecessary. But wait, if that happens, it's more likely that FF will be like MF today - still exists, still provides better absolute quality, but not popular. Tony, you can do better than this! And, actually, Fstoppers is attracting clicks as well, by just embedding Northrup's video and doing a recap under an inaccurate but inflammatory headline. Not saying he's wrong. I just dont care enough. Bonus points for gettting commentors stirred up. Yep. Got to give him props for the video. Crafted like a like a true YouTuber. Every time I see one of this guy's or his daughter's videos surface to relevancy it's usually about some click-bait subject who's only purpose is to drive traffic through controversy. As someone who travels 12 months out of the year, lives off his kit and not his affiliate links, I'll keep my excess baggage fees and my back in one piece thank you very much. The fact that I can swap lenses between my Inspire, Osmo, Blackmagic, Lumix G and Oly OM series cameras is just the cherry on top of the icing. The point he makes about dividing resources, almost all of the camera companies already do this. Most have APS-C versions as well as FF version, this includes Nikon, Canon, and Sony. Granted Panasonic is not as big as any of those in regards to cameras, but if they can do it, why can't Panasonic? I shot with a GH2 before upgrading to my D800e. The image quality of Nikon is so much better but I miss being able to carry around a camera half the size of my current camera and have 5 lenses in it. Also as NYC newspapers are laying off full time photo journalists I have seen a lot of reporters at City Hall news conferences carrying an Olympus M43 around there neck to snap a few photos for print in between jotting down notes for the story. When doing street photography M43 is less obtrusive and doesn't put people on edge the way a full frame camera and a 70-200 does. I like M43 and think in some situations it still has advantages. However I agree with your story. I suspect that APS-C sensors will also fade out in the near future and even entry level systems cameras will have full frame. Image quality and performance of full frame is better in many situations. I do think M43 will survive as a niche system that is good for print journalists, travel photography and street. it is also good for video where you do not want the paper thin field of focus. With mirrorless vs DSLR, I personally will not give up my DSLR until they make EVF that perform well in cold weather. I live shooting on snowy frozen nights. Something I do not see discussed is that when the liquid crystals of the EVF and rear viewfinder freeze you cannot focus or frame your images. I can rotate batteries in and out of my shirt pocket to keep them functional. However my Panny M43 was useless when it was out in freezing weather too long. Tony might be right ... eventually, we'll all be dead, right. The question is when? Tony's argument seems to be: (1) the world is rapidly moving towards two (and only two) camera sensor formats - smartphones and full frame, with the middle getting squeezed; (2) Panasonic can't/won't split its R&D budget across m43 and FF if it's serious about its FF offerings, it simply doesn't have the resources to do so and compete with Sony/Nikon/Canon. To his first argument, I would say that if he is right, why wouldn't EVERY crop format be throttled out of existence, not just m43 ... but APS-C as well? On the other hand, if you believe that people might still be interested in crop sensor bodies in the future because (a) smaller/lighter/cheaper lenses [yes, even if they don't offer the same FF equivalent without a speed booster] (b) lower cost sensor = lower price point than full frame; (c) computational imaging techniques available in smartphones will transfer to cameras eventually making smaller sensor cameras more competitive with larger sensor cameras... then there's no reason to believe that crop formats (m43 OR APS-C!) will necessarily die out. 2018: G9 began shipping in Jan; GH5s in Jan; GX9 in Mar 2018. 2017: GH5 began shipping in Mar. Also shipped 3 new Pan Leica lenses. I might be off but I'm guessing it takes *at least* 18-24 months to plan, design, develop, and manufacture such cameras. If that's in the ballpark, then it means Panasonic has managed to design, develop, build, test, and release the G9, GH5s, GX9, and GH5 (all pretty fine cameras in their own ways) all the while designing, developing, building, testing, and releasing the new full frame S1 and S1R cameras (which are expected in first half of 2019). Panasonic also shipped 3 Pan-Leica lenses back in 2017, and I might be wrong but I don't think they've shipped any new lenses for m43 since then. In my opinion, it's highly probable their lens design & development teams began work on the new FF lenses as soon as those 3 Pan-Leica models began shipping. If that's right, Panasonic seems capable of prepping and shipping a starter 3-4 lens lineup on their own or in tandem with Leica. Perhaps Sigma will also also have a couple lenses ready to go as well. All of this is to say that Panasonic seems to me to have sufficiently deep R&D budget to continue investing in both FF and m43 systems (albeit at a potentially slower product release cadence) for at least a little while longer. Whether they wish to continue to do so, and to what degree, in the future is a wholly different question. I suspect it will ultimately depend on where consumers choose to go with their wallets. If consumers largely choose to go all in on mirrorless FF, Panasonic will stand to benefit from having a system in that market space, and they can steer more investment in that direction. If consumers end up seeing mirrorless FF as too costly/bulky/overkill for general photography (as most have with DSLR bodies), and it becomes something of an interesting niche but not a perfect substitute for crop systems as some predict, then Panasonic still has a foot in the smaller/more portable m43 market space. Time will tell. Surely, eventually, Tony will be right about m43 being dead. The question is when, and who else will perish along with them. I think what many of you are ignoring is the logic behind what Tony says and are more focused on defending the technology and/or bashing the author. 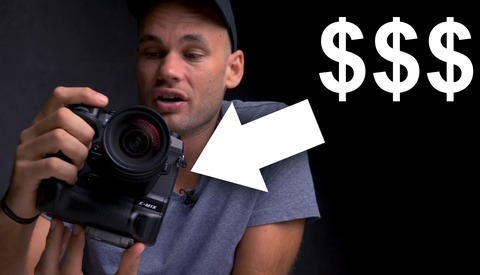 I am not a Northrup fan by any means but I do agree that as full frame sensors get cheaper and full frame cameras get smaller there will be no more room for micro four-thirds. If all things are equal, including price, size and quality the majority of consumers are going to choose full frame. Also, the physics of designing a 16mm full frame lens is much simpler and cheaper than designing an 8 or 12 mm lens of equivalent quality. Obviously this technology is not going away tomorrow. It will be awhile before economies of scale make the 4/3 sensor economically unviable I think Tony's point is that buyers entering into the market should be aware of the potential long term ramifications of buying into a four-thirds system, especially the lenses which have a traditionally long life span.